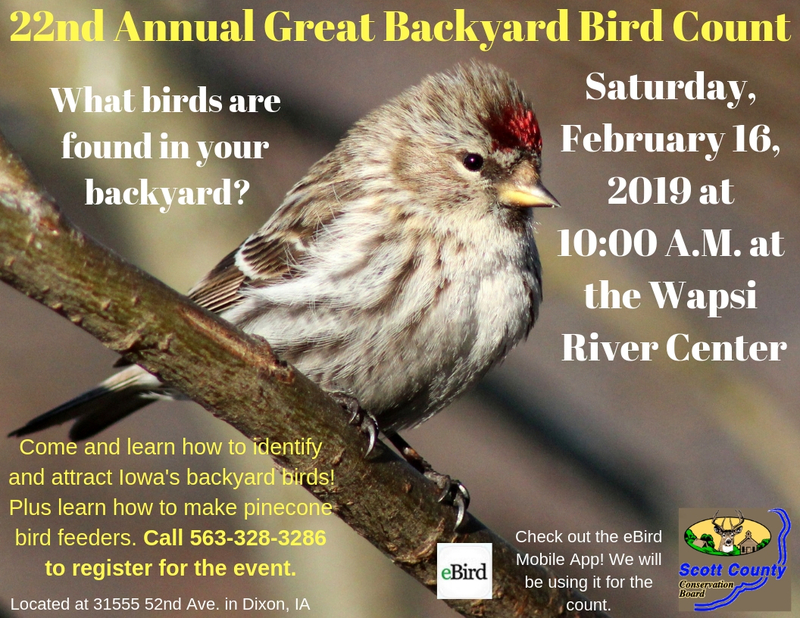 Come learn about a global Citizen Science Project called the Great Backyard Bird Count. What birds are found in your backyard? You will also make pinecone bird feeders to attract birds to your own backyard. Bird watchers of all ages can participate in this program. Please call in advance to register for this event 563-328-3286.